There is not much in the world that can scare a person as much as a home intrusion. Not just your belongings, but your person and your loved ones could be at risk, and often police response times take too long to be of any help. That is why you need a home security system that doesn’t just alert you to intruders, but protects you from them. Here at Burglar Bomb, we carry a selection of high quality home pepper spray defense products to fit your security needs. Sometimes an alarm just doesn’t cut it in the event of a home intrusion. When that happens, you need a home defense system that will protect you and your belongings. When the Burglar Bomb AB-2000’s trip wire is activated, its four ounce OC pepper spray bottle is emptied to incapacitate the intruder. Not only does it work effectively, but it causes no injury to the victim. 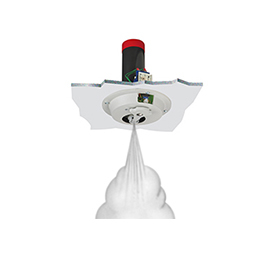 If you are looking to control areas up to 2,000 square feet, the Intercepter is the perfect choice. After sensing intrusion, a four ounce OC pepper spray bottle is released to stop an intruder in seconds. No electrical experience is required for installation. This product will function normally even in the case of a power outage. Already have an alarm system, but still want to increase home security? 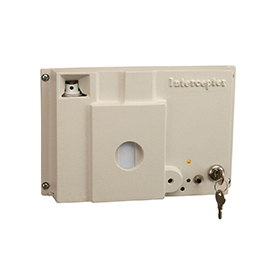 The Repulsar – I works as an accessory WITH your alarm system to stop intruders in their tracks. The Repulsar – I comes with an adjustable warning tone feature to protect forgetful owners from setting it off. 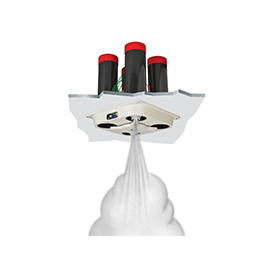 The Repulsar – IV builds on the Repulsar – I’s functionality, with a bigger aerosol can that can spray larger areas, as well as sequential and simultaneous firing modes. For vacation homes and other types of isolated buildings, this product model provides protection for longer periods of time without needing replacement. 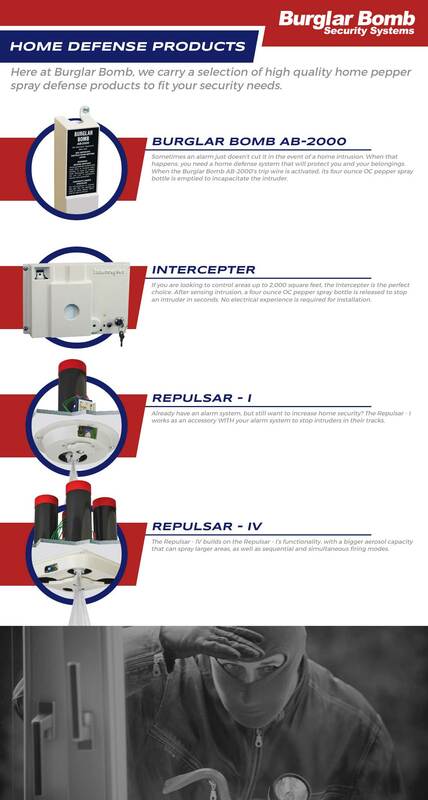 Here at Revel Technologies, we also carry replacement aerosol canisters for each of these home security products. 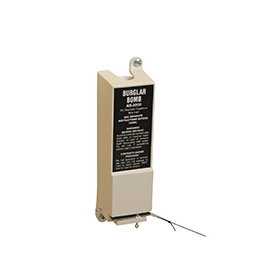 Our pepper spray defense systems are all easy to install and to use. Check out some of our videos to see how they function yourself. If you are interested in our home defense products, please don’t hesitate to browse our online selection. We have a solution for just about any home security needs. We are proud that we get to do our part to keep communities safe, and think the quality of our products speaks for itself. If you have any questions about the home security systems we sell, please don’t hesitate to give us a call today. One of our friendly and knowledgeable representatives will be happy to answers any questions that you may have.